Eating out with kids can be expensive! 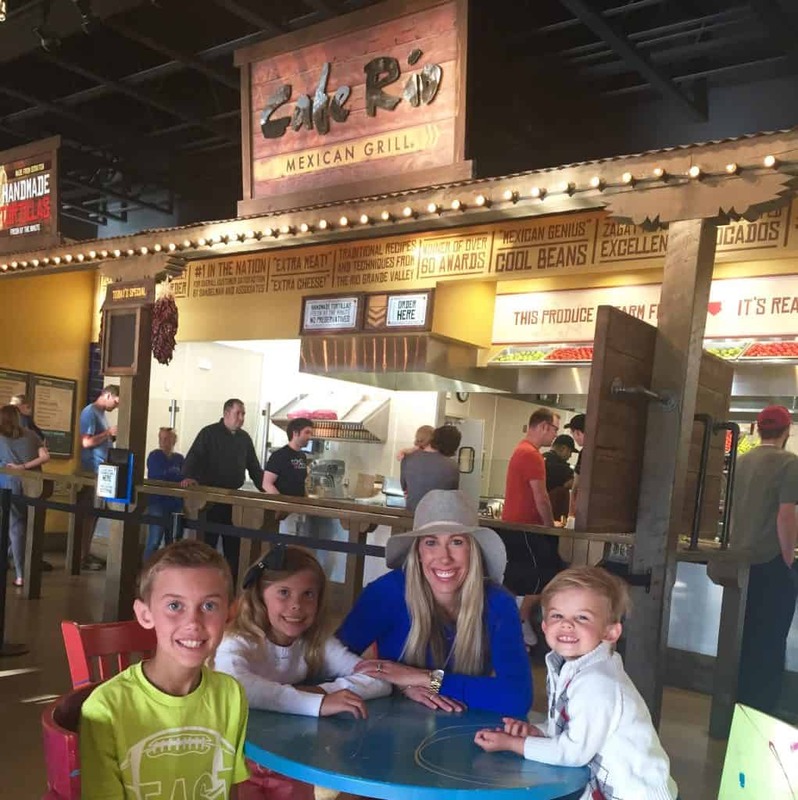 Here are a few restaurants that help parents lighten the load. One day we were out with our kids running errands. It was getting to be dinner time, so we asked our kids where they would like to eat. That’s always a loaded question, with differing ideas of where they want to eat, which usually causes some arguing. We were just driving by Denny’s and they all said DENNY’S!! I was happy they all agreed, and hey, it was right there. NO WAY!!! How awesome is that! So, we had the best dinner and I love free, don’t you? That got me to thinking, where else do kids eat free? This is just too much fun. So, here is my list for you where kids eat free. Maybe you already know these or maybe you forgot and this is a good reminder, or maybe you’re like me and thinking this is hitting the mommy lottery! Either way, here you go! These are places in Utah, but most chain restaurants have the same kids eat free programs. Policies change regularly so no matter where you are be sure to check it out in your local area for participating locations. Happy eating where kids eat free! Every day kids eat free 4pm-10pm with an Adult Entree. Two kids (10 and under) per adult. So say your husband goes too, that’s four kids who get to eat free. With the purchase of an adult meal and when you dine in, you get a FREE kids quesadilla. Cafe Rio is so great about this, and I can’t tell you how many times we have done this. Our kids eat free and my husband and I share a salad, and we can eat dinner for our whole family for less than $12. It is awesome food and such a great perk that your kids get a yummy quesadilla that comes with a strawberry or orange slice. It is perfect for your little ones and it is good for every day. Ikea !! 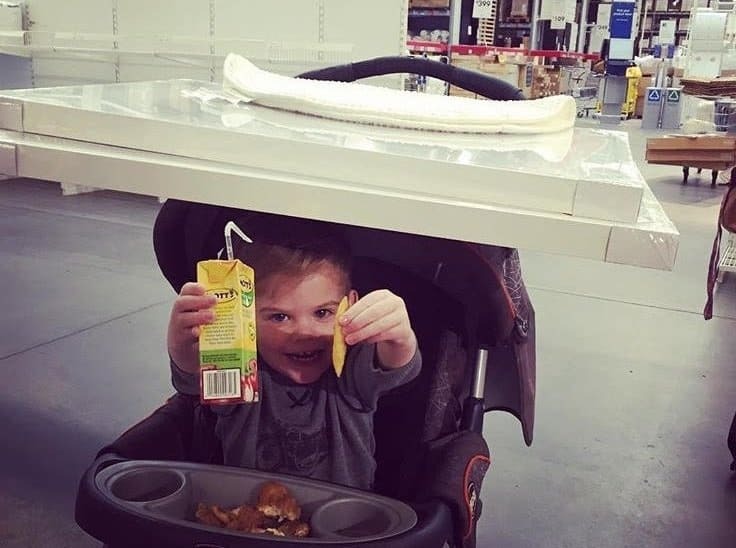 Yes, Ikea not only has a kids’ playground and free babysitting while you shop, but every Tuesday, kids 12 and under eat free. If you’re like me and not so sure about Swedish meatballs for lunch, I highly recommend the Cobb salad with blue cheese dressing. It honestly was extremely good and very satisfying. I loved it. Every day from 4 pm-10 pm, kids 12 and under eat free with the purchase of an adult entree, two kids per adult. So say your husband goes, too that’s four kids who get to eat free. If you have more than four kids, additional kids eat for only 99 cents. Awesome. Moons over Miami for the win! Monday nights after 4pm, kids 12 and under eat free. For every adult entree purchase, kids get a full free kid’s meal that comes with your choice of sandwich or pasta, fruit or cookie, pickle, chips, or carrot sticks and a drink. This is awesome. This could be a great place to go for a daddy/daughter date or mommy/son date when you just have one of your kids with you. Everybody wins. Monday nights and Tuesday nights after 4pm, kids 12 and under eat free. 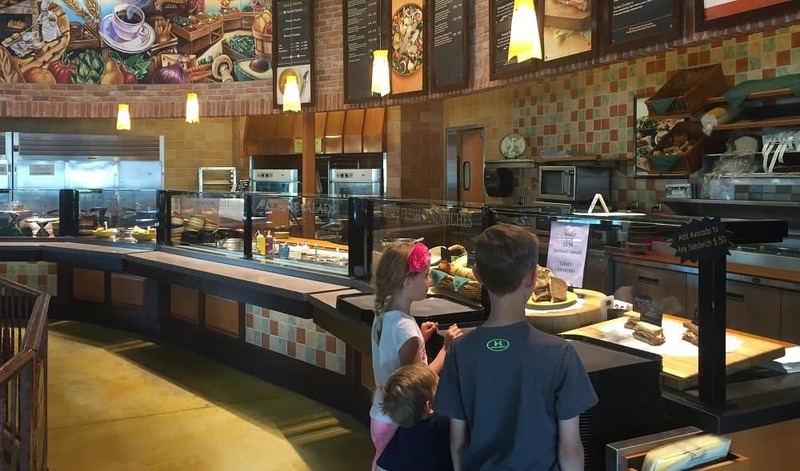 For every adult entree purchase, they get a free kid’s meal which includes sandwich or mac and cheese, cookie, fruit or yogurt, and a drink. With every kid’s meal, when you turn in the toy, you can get the free ice cream, and you can do that also in the drive thru. I don’t think moms know that, and they can do it in a cone or a cup with a lid to go. At select participating locations in Utah, Mondays after 5pm and ALL DAY Sunday you can purchase a combo meal and get two kid’s meals for free. It comes with a sandwich of their choice, little drink, and Rice Krispie treat. Monday and Tuesday after 4pm, purchase an adult entree and get a kid’s meal from the little Kahuna’s Kid’s Menu. Yummy!!! Every Monday kids 10 and under can eat free from 5-9PM with two kids free per adult. 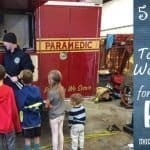 Children under three are free any day. 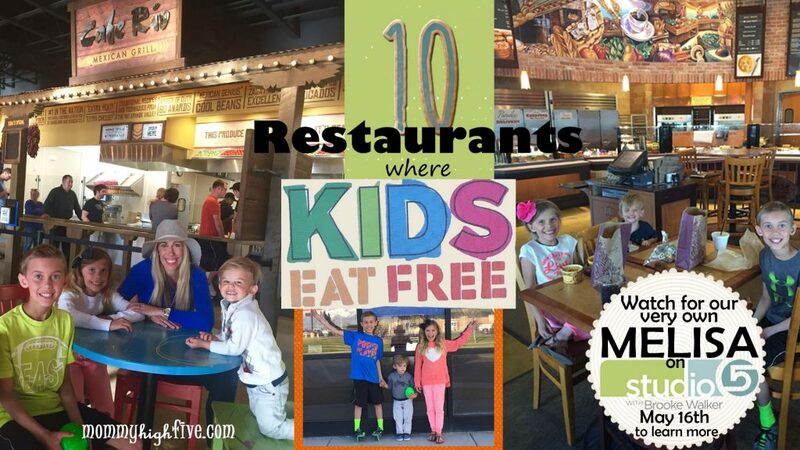 There are so many fun restaurants that offer Kids eat Free! It’s awesome to go try! Go with the whole family or maybe a special one on one mommy/son or daddy/daughter date. These are some yummy restaurant options that are sure to get you full and save a few dollars in your wallet! Enjoy the perk of having kids and go redeem your free meal! You’ve earned this perk of your job!! In the words of Cafe Rio FREEEEEEE MEEEEAAAALLLL!! Double check the restaurant you go to and see if they are a participating location. Have fun! Want more good ideas? 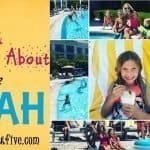 Here’s a list of some free summer fun ideas for kids.